Are you suffering from long term pain or problems with stiffness and immobility? Have you suffered an injury which is taking longer than expected to heal? Do you need a remedial massage and help with rehabilitation? 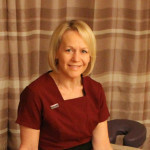 I am an experienced massage therapist trained up to level 4 in sports massage. Level 4 sports massage incorporates full assessments using specific testing and palpation and treatments incorporating dynamic muscle energy and soft tissue release techniques as well as deep tissue massage to help with healing.